Former Miss USA Rima Fakih made headlines earlier this month when it was announced that the first Muslim winner of the American beauty contest was converting to Christianity in advance of her May 15 wedding. While widely syndicated, the conservative media watchdog entity NewsBusters ran a story noting that many established news sources shied away from the Fakih story. "Fakih is nowhere to be seen on the networks these days. The Washington Post, another former Fakih devotee also declined to mention her conversion," wrote Mairead McArdle of NewsBusters. "Considering that Fakih's Muslim ethnicity and faith were an integral part of her popularity and the controversy surrounding her Miss USA title, the media is uncannily quiet on her profession of Christianity." Others, however, have argued that the coverage of Fakih's conversion is disproportionate, noting that more Christians are converting to Islam than Muslims to Christianity. "It is a fact that Islam is growing rapidly in the West. In the U.S. alone the number of Muslims has risen dramatically, from about 10,000 in 1900 to 3 million or more in 1991," noted Arab World Ministries, a contributor to CBN. "Most of this growth is due to recent immigration and the high birth rate of Muslims (five children per family on average), rather than to conversion. Still, the number of those who convert to Islam is significant." So is Fakih's conversion story less common than the stories of people like Muhammad Ali, Kareem Abdul-Jabbar, or Cat Stevens? Tracking the number of Muslim converts to Christianity is a difficult task, according to Albert W. Hickman of the Center for the Study of Global Christianity at Gordon Conwell Theological Seminary. In an interview with The Christian Post, Hickman explained that "Muslim converts to Christianity are far more likely to face adverse consequences than are Christian converts to Islam." "These can range from the loss of a job and social and familial ostracism to beatings, imprisonment, and even death," said Hickman. "As a result, many Muslim converts to Christianity keep their conversions secret — certainly in Muslim-majority countries, but also in Western and other countries with religious freedom due to concerns about the consequences their conversions might carry for family members back home." Hickman added that because of this "even historically Christian communities in Muslim-majority countries can be ignorant of or have little knowledge about the populations of Muslim converts to Christianity in their countries." "Thus, it is likely that the number of Muslims who convert to Christianity each year is underestimated," continued Hickman. "This is less likely to be true for the number of Christian converts to Islam, as they would in general face less opposition." Possible examples of this would be the West African nation of Mauritania and the Kingdom of Saudi Arabia. While Mauritania and Saudi Arabia officially declare 100 percent of their citizens Muslim, both are known to have small non-Muslim populations. The Christian Post reported last year that the Saudi government passed a law that imposes the death penalty on anyone who is caught with a Bible or found to be smuggling Bibles into the country. The greatest complication for assessing the number of Muslims converting to Christianity in Islamic nations is the concern over safety. "Many of these converts keep their new faith a secret. Some of them are fairly isolated, not knowing any other Christians," noted Hickman. "Others are part of house churches that consist exclusively of secret converts; these individual house churches can be part of networks that are quite extensive, although most individual members might be unaware of exactly how extensive." 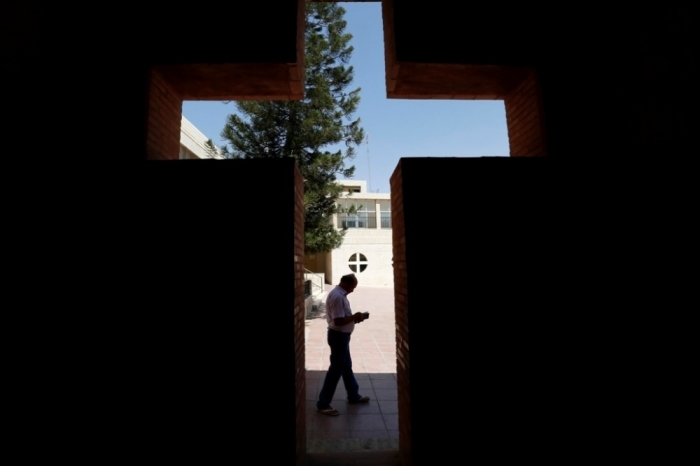 Violence against Christian converts is connected to the rising tide of violence against Christians in the Islamic world, according to persecution watchdog group Open Doors USA. Each year, Open Doors releases a "World Watch List" tracking the most intolerant countries in the world for a Christian to live. The list looks into multiple factors, both of a social and state-sponsored nature. While each year since the list's inception atheist dictatorship North Korea has sat at No. 1, Muslim-majority countries dominate the overall rankings. For the 2016 World Watch List, majority Muslim nations like Afghanistan, Iran, Pakistan, and Somalia were among the top 10; others like Saudi Arabia, Libya, and Yemen were found in the top 20. "At its heart, the sharing of information on Muslim converts to Christianity, especially in Muslim-majority countries, involves building relationships of trust between those who lead the movements and those who want to know about them, so that no one is endangered and so that reporting methodologies yielding accurate information are utilized," said Hickman.